VC10 Origins - Vickers & B.A.C. 1915 - Vickers aircraft factory established on site of Itala motor works at Brooklands. 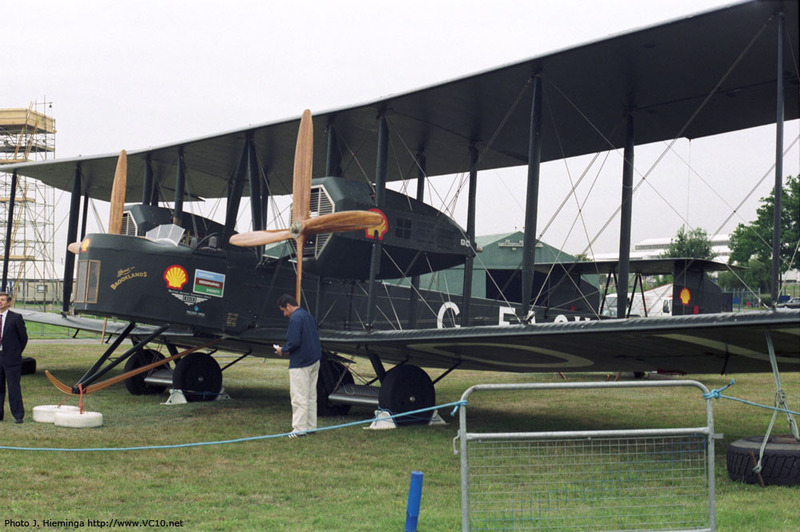 1918 - Wartime production of Vickers-built aircraft totalled 4,500. 1919 - Converted Vickers Vimy bomber (Rolls-Royce Eagle engines) flown by Alcock and Brown made first non-stop air crossing of North Atlantic. 1928 - Formation of Vickers (Aviation) Ltd., as separare subsidiary company. Supermarine Aviation Works taken over by Vickers. 1931 - Vickers-Supermarine S.6B seaplane (Rolls-Royce R engine) won Schneider Trophy outright for Great Britain and set world Air Speed Record of 407 m.p.h. 1932 - Vickers Vespa (Bristol Pegasus) set world Altitude Record of 43,976 ft.
1936 - Prototypes of Spitfire and Wellington made first flights, at Eastleigh and Brooklands respectively. 1937 - Two Vickers Wellesleys (Bristol Pegasus) set world Distance Record of 7,158 miles non-stop. 1938 - Vickers' aviation activities transferred to Aircraft Division of Vickers-Armstrong Ltd.
1945 - Wartime production of aircraft built or designed by Vickers included 20,334 Spitfires, 2,408 Seafires, 11,461 Wellingtons, 843 Warwicks and 235 Lancasters. 1946 - Vickers Viking entered service with B.E.A. Vickers first post-war commercial transport; 161 were built, plus 424 military derivatives. 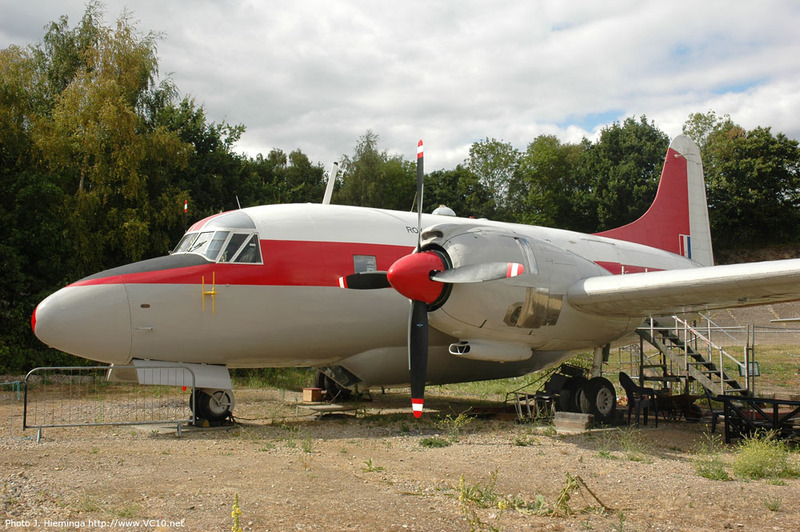 1948 - Vickers Nene Viking (World's first pure jet transport) made first flight in April, followed in July by prototype Viscount 630 (world's first turboprop airliner). 1950 - B.E.A. ordered 20 Viscounts. 1951 - Vickers Valiant, Britain's first four-jet bomber, made first flight. 1953 - Viscount entered service with B.E.A. - the first turboprop commercial services in the World. A Swift gained world airspeed record at 737 m.p.h. 1955 - Vickers-Armstrongs (Aircraft) Ltd., formed as seperate subsidiary company of Vickers-Armstrongs Ltd.
1957 - Valiant 'V' bomber production completed with over 100 built. 1959 - Vickers Vanguard made first flight; 400th Viscount delivered. 1960 - Announcement of merger between Bristol Aircraft Ltd., English Electric Aviation Ltd., and Vickers-Armstrongs (Aircraft) Ltd., and formation of British Aircraft Corporation Ltd., as parent company, followed by acquisition by British Aircraft Corporation of Hunting Aircraft Ltd.
1961 - Vickers celebrates 50 years as builders of aeroplanes. Vanguard entered service in Europe and Canada. 1962 - Vickers VC10 made first flight. 1963 - BAC One-Eleven made first flight. 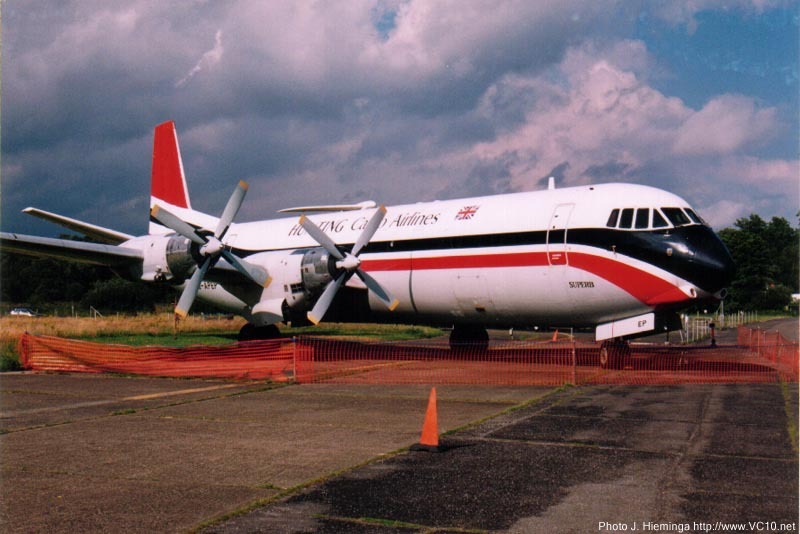 1964 - Vickers-Armstrongs (Aircraft) Ltd. became Weybridge Division of B.A.C. (Operating) Ltd. Last of 444 Viscounts delivered. 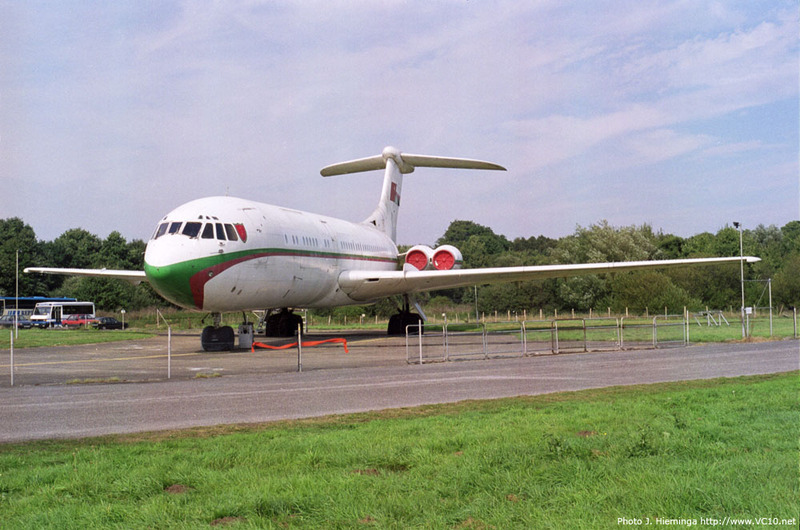 VC10 entered service with B.O.A.C. In 1957 the British Government laid down an ultimatum to the British aviation industry, from that point on it would only buy aircraft from a group of several aircraft manufacturers working together instead of from one firm. A clear case of 'merge, or else...'. 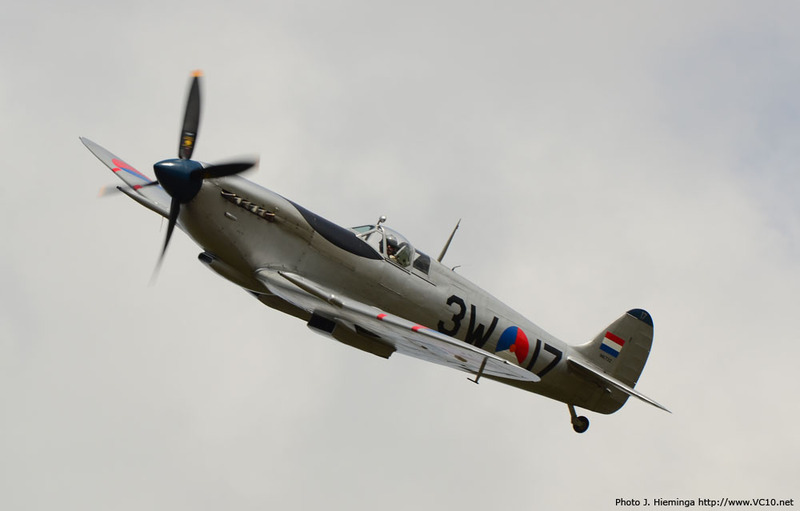 At the end of World War II the British Aviation industry sported no less than 27 airframe manufacturers and eight engine firms. By the end of the 1950s some changes had taken place but the numbers were still quite large. At that point the bone everyone was fighting over was Operational Requirement 339, the request for a successor to the EE Canberra. This was to be the one project that could keep several firms in business and this meant that a merge had to take place to survive. 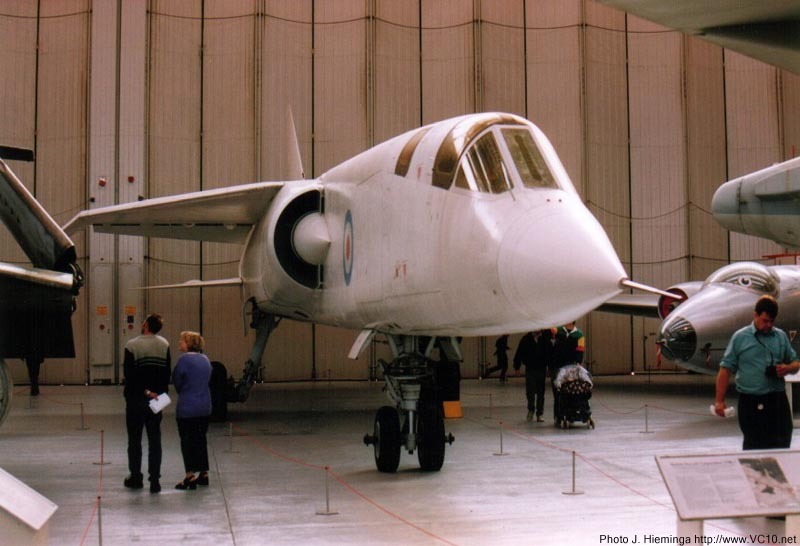 Initially Vickers teamed up with English Electric to win the contract for what would become the TSR2, but later talks led to a merger between Bristol Aircraft Ltd., English Electric Aviation Ltd., and Vickers-Armstrongs (Aircraft) Ltd.. This group also bought Hunting Aircraft Ltd., and thus formed the British Aircraft Corporation in 1960. The identity of this new group would have to be established to the outside world but also the names and reputations of the subsidiary companies that had been built up over a long time could not be thrown out. Because of this a division between 'old account' projects and 'new account' projects was devised. Existing projects would be continued under the name of, and on the accounts of, the subsidiary firm with the tagline 'a subsidiary of the British Aircraft Corporation' added to any publication. Because of this the VC10 was always to remain the 'Vickers VC10' and was never renamed as a B.A.C. aircraft, although some publications incorrectly list the VC10 as such. VC1 Vickers 'Viking', see below for a photo. 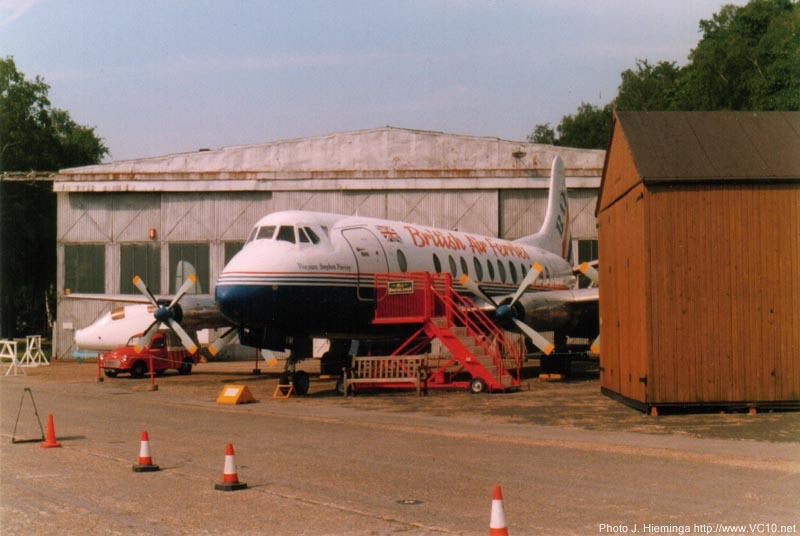 VC2 Vickers 'Viscount', see below for a photo. VC3 This was a proposed civil version of the Varsity military trainer. VC4 A design study for a three-engined airliner for the North Atlantic routes. Later modified into a four-engined version but never built. VC5 A long range transport aircraft that was based on the Valiant bomber for BOAC. VC6 A similar but short range Valiant derivation for BEA. VC7 Commercial version of the V1000 that was being designed for the RAF, the V1000 program was canceled with the prototype in an advanced stage. The VC7 was to be a long range airliner that was also based on the Valiant design but with low wings and wing root mounted engines. 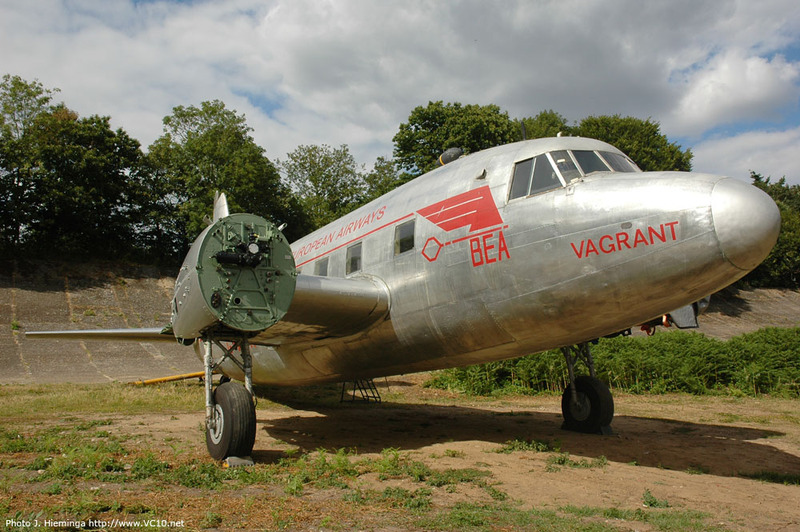 VC9 Vickers 'Vanguard', see below for a photo. VC10 The subject of this website. VC11 A proposed short range version of the VC10, this was a competitor to what emerged as the BAC 1-11. The decision was made within B.A.C. to continue with the 1-11 and therefore the VC11 was canceled. VC12 Originally the Hunting 107 design, scaled up and eventually marketed as the BAC 1-11. See below for a photo. The formation of B.A.C. was not the only merger in the British Aviation community, and it would not be the last. A year before B.A.C. was formed DeHavilland had been forced to merge with Hawker Siddeley, creating another large firm. In 1966 the government proposed the nationalization of B.A.C. and Hawker Siddeley Aviation which would have meant a monopoly on the British Aerospace market. 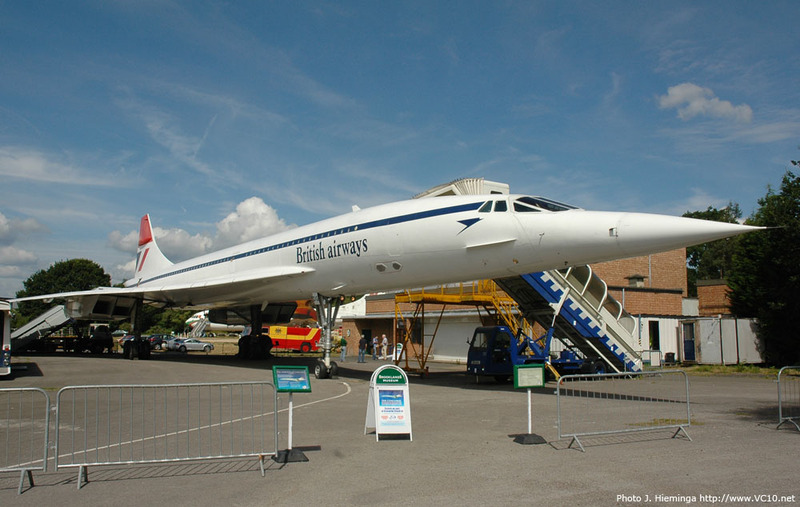 At that point cooperation was already the buzz word in the business as both the Concorde, in which B.A.C. had a 50% share, and the Jaguar, a product jointly developed by B.A.C. and Breguet under the SEPECAT name, were shown to the public. In 1969 the British technology minister made the announcement that Britain had pulled out of the European Airbus program, he had been advised that the aircraft would not sell. 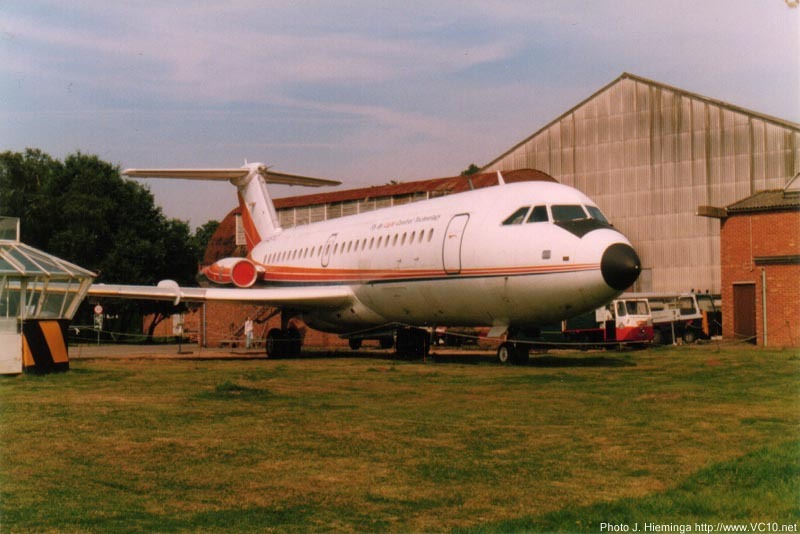 Hawker Siddeley was thinking about funding a private share in the project. This they did, and therefore Britain was still a partner when the A300 first rolled out of the hangar in 1972. By the time the next Airbus project took to the air the government had regained its sensibility and once again put its name on the list of contributors, through this act involving B.A.C. again. In 1974 the next project came to fruition with the first flight of the Panavia Tornado from Manching (West Germany) in the hands of B.A.C. chief test pilot Paul Millet. This time the team was comprised of B.A.C. with MBB in Germany and Aeritalia in Italy. In 1977 the B.A.C. 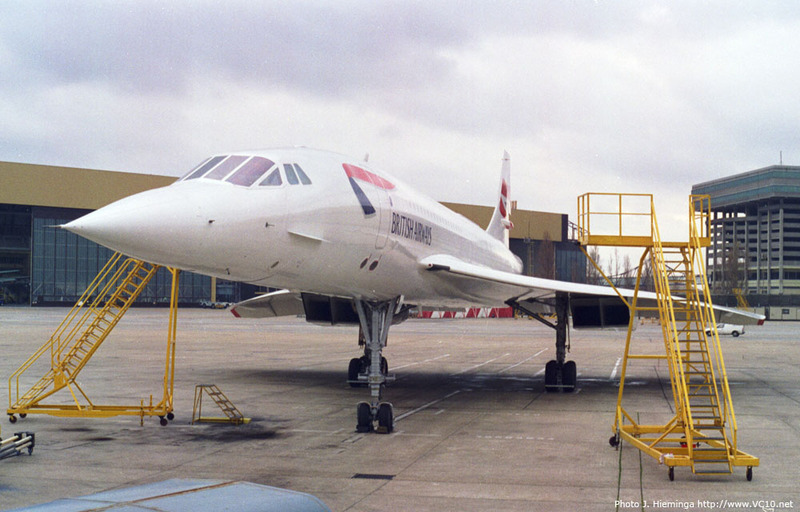 name disappeared again as the Labour government's Aircraft and Shipbuilding act formed British Aerospace out of B.A.C., Hawker Siddeley Aviation, Hawker Siddeley Dynamics and Scottish Aviation. This nationalized company was instantly the largest aerospace company in Europe, with key stakes in all the major joint European projects. In 1999 British Aerospace combined with GEC's Marconi Electronic systems to form BAE SYSTEMS. Not all of the Vickers or B.A.C. 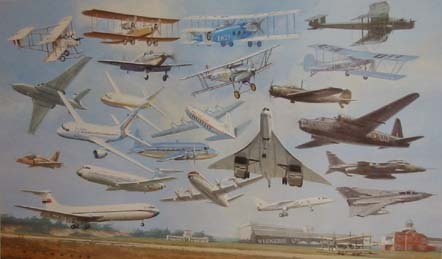 designed aircraft are shown here but I have tried to give an impression of the different Vickers designs through the 20th century. More information on these aircraft can often be found on the internet, look on my links page for addresses. Built as a bomber for the RAF, the Vimy became known for its record breaking flights: First non-stop North Atlantic crossing, England to Australia and England to South Africa. Pictured here is the Vimy reproduction that has re-enacted aviation history by retracing the routes of these flights. 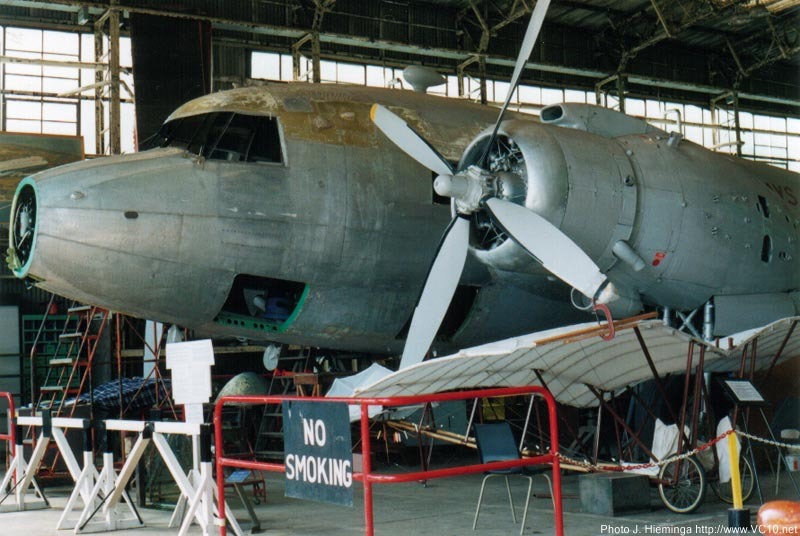 Seen at Farnborough in '96 in its first dark-green scheme which it carried during the England to Australia flight, the second photo shows her in retirement at The Brooklands Museum. 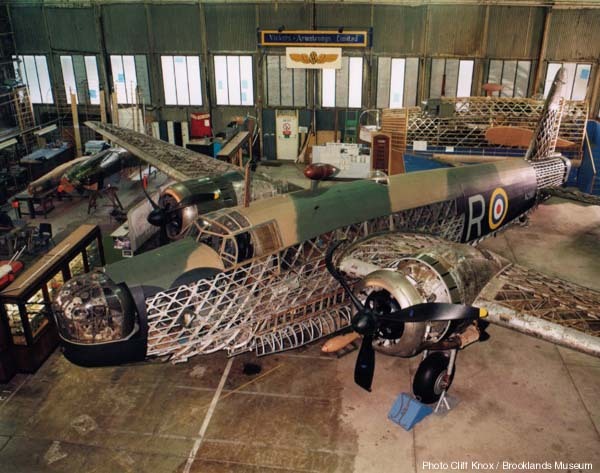 Built to specification B9/32 the Wellington was Britain's main heavy bomber at the outbreak of WW II. Only two survive with R for Robert pictured here in the Brooklands Museum. 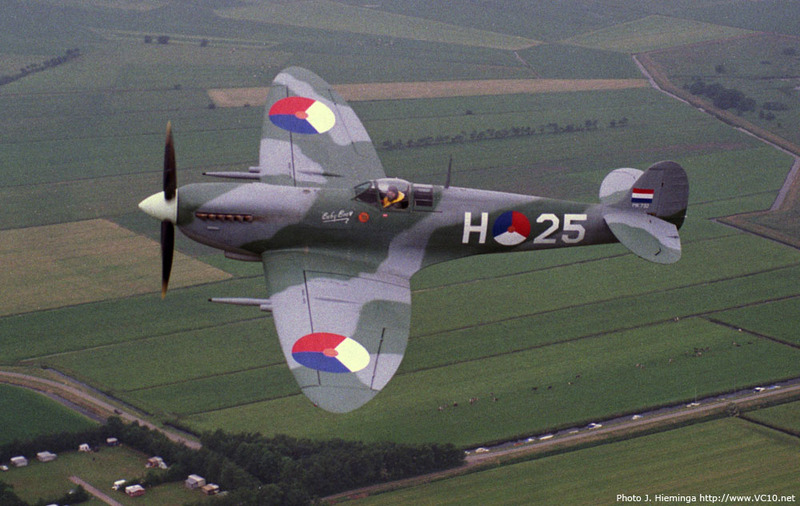 Although widely known as the Supermarine Spitfire, R.J. Mitchell's design is officially a Vickers product as Supermarine had been a part of Vickers for 8 years when the Spitfire first flew in 1936. Created by mating the wings of the Wellington with a newly designed fuselage, the Viking was the first British airliner to fly after WW II. 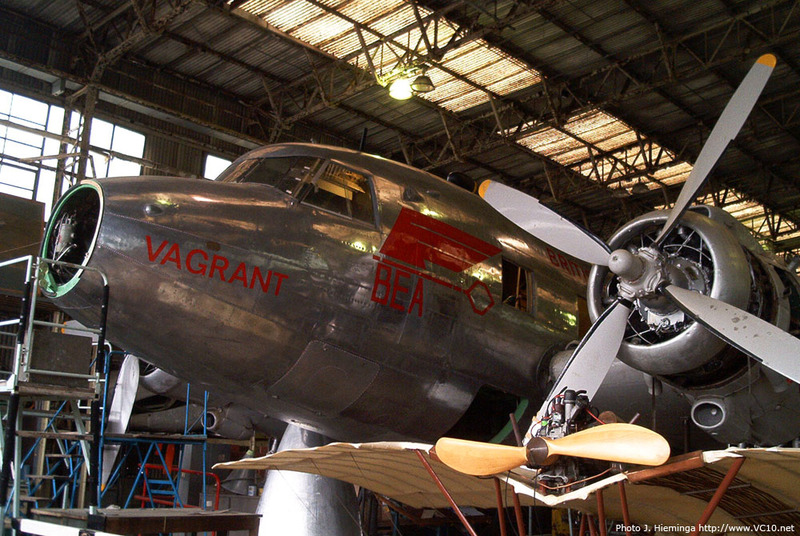 The photo shows G-AGRU under restoration at the Brooklands Museum. 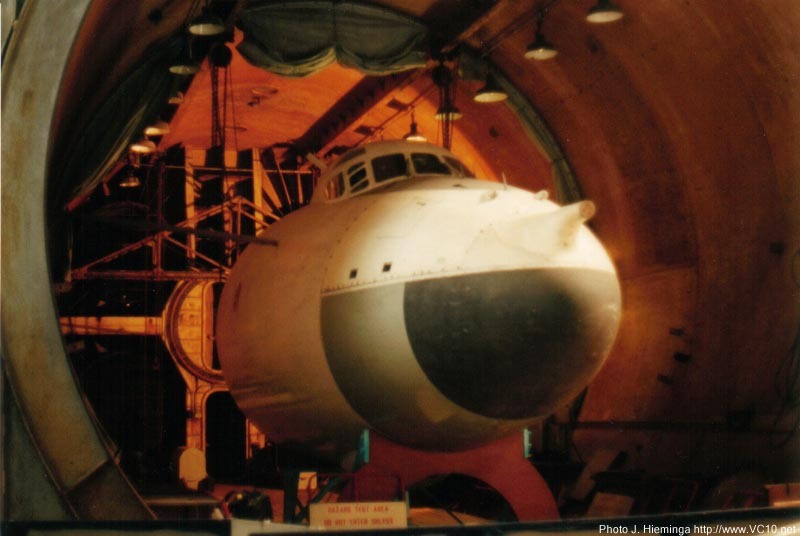 The second photo was taken in July 2002 and shows the newly polished fuselage of G-AGRU. 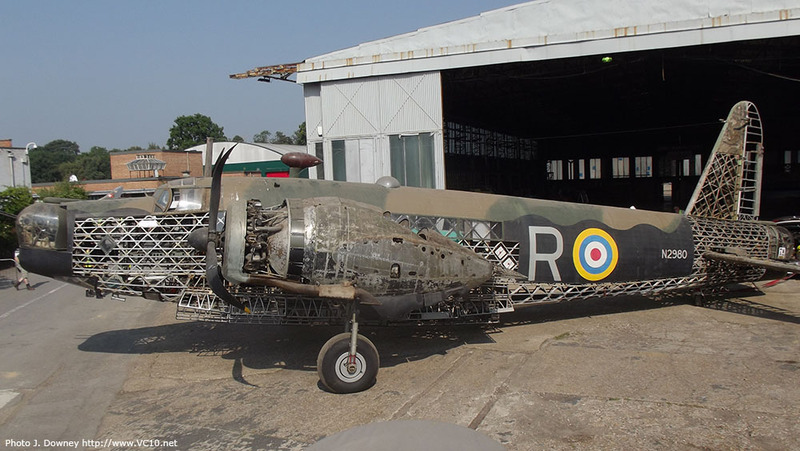 The third photo below was taken in 2010 showing that the fuselage is pretty complete and ready to receive wings and engines, on the fourth photo from June 2012 the right wing and left engine are shown to be attached. The Varsity is essentially a Viking (or rather its military equivalent the Valetta) with a tricycle undercarriage and an underfuselage pannier that holds a bomb aimers position and a small bomb bay. The type was used exclusively for training bomb aimers, radio operators and navigators in the RAF. 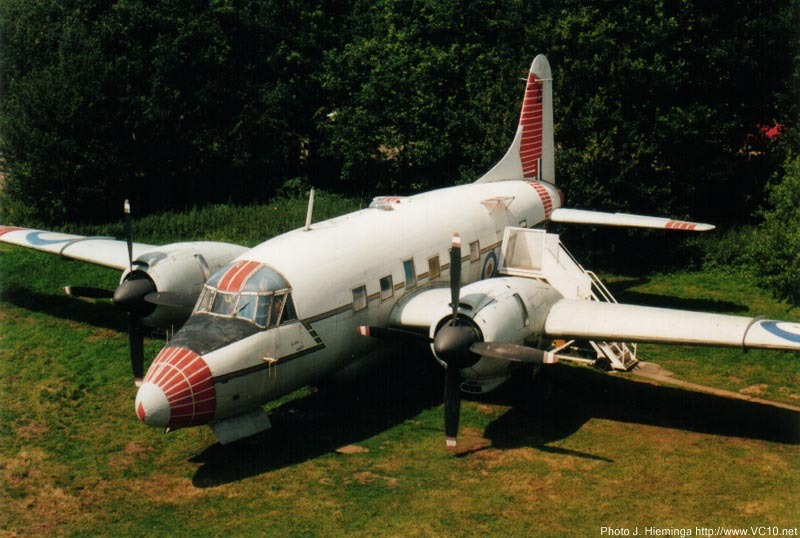 The Varsity at The Brooklands Museum is seen here in 1998, and in 2010 after receiving a new coat of paint. The Valiant was the first of the V-bombers. Designed as an 'all-electric' aeroplane it suffered from fatigue problems when relegated to low level bombing and was withdrawn from service. 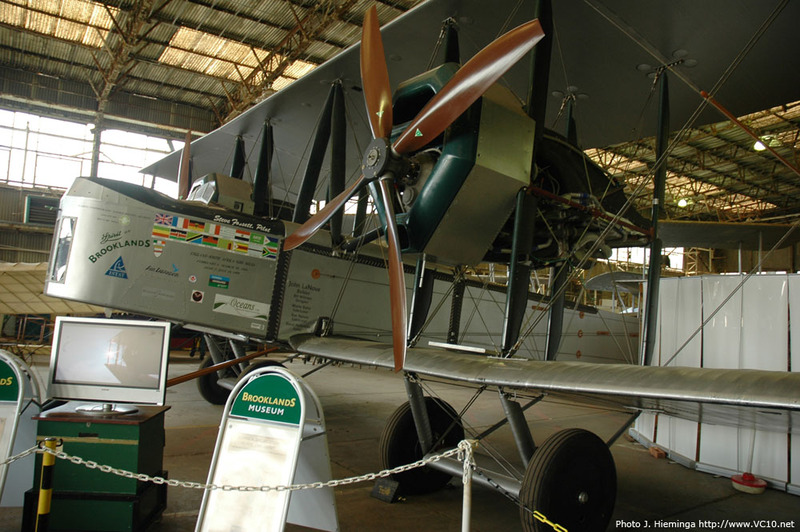 Only one complete example remains at the RAF Museum Cosford. 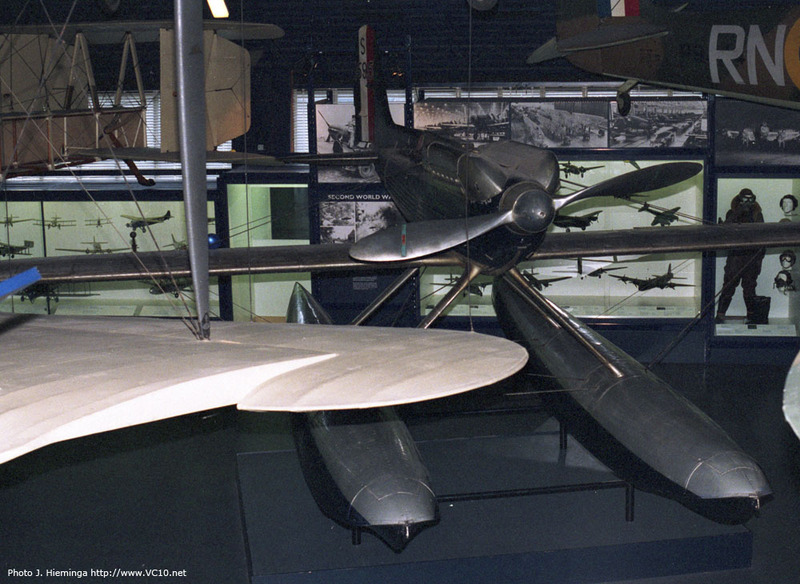 The photo shows the nose section of XD816 at the Brooklands Museum. The post-war success of Vickers was the Viscount. The first turboprop airliner was a major success and some still fly today. Designed as a larger successor to the Viscount the Vanguard never came close to its predecessor's success. 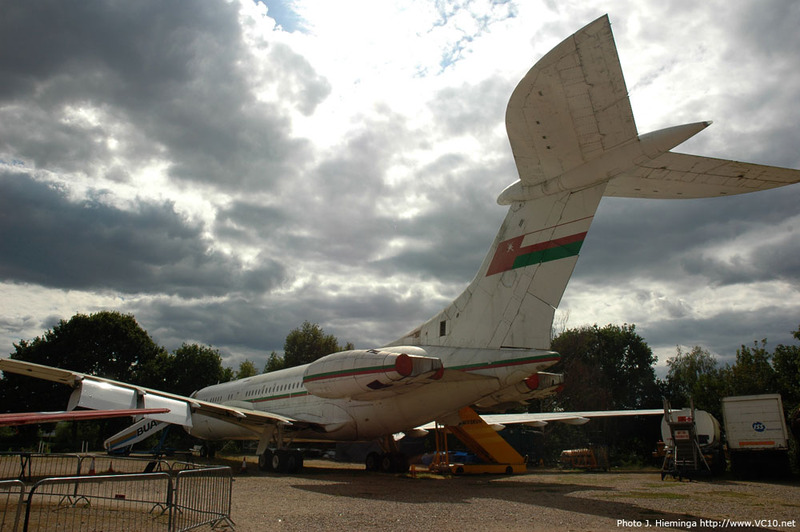 Just 44 were built, and the only surviving example is seen here at the Brooklands Museum in 1999 and 2010 at her new spot in the aircraft park. The largest airliner built solely in the UK. For more info: stay on this site. The B.A.C. 1-11 was originally designed by Hunting Aircraft as the H.107, but after the amalgamation of the British aviation industry it became a B.A.C. product. The still-born low-level strike aircraft that would have made a great addition to the RAF had the government not decided against the development of manned aircraft, which limited the program. In 1965 it was canceled outright. The TSR-2 was built at Brooklands. 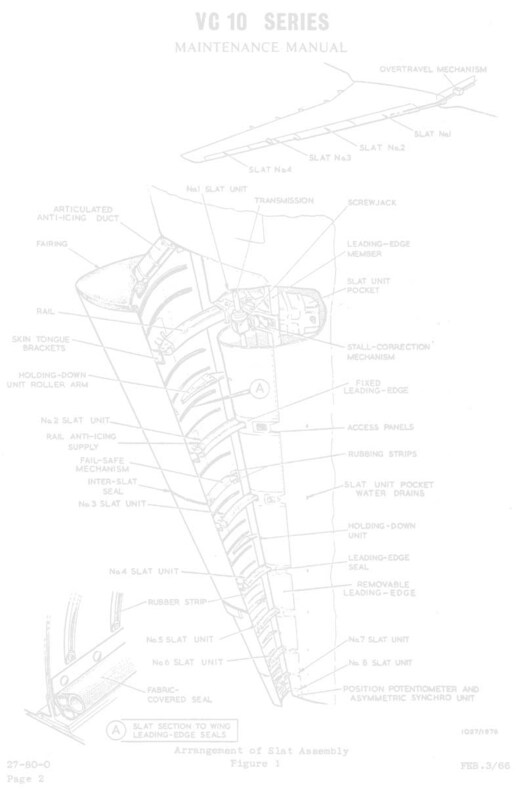 Developed jointly, the Concorde was a complete technical success, even though its economics were flawed. 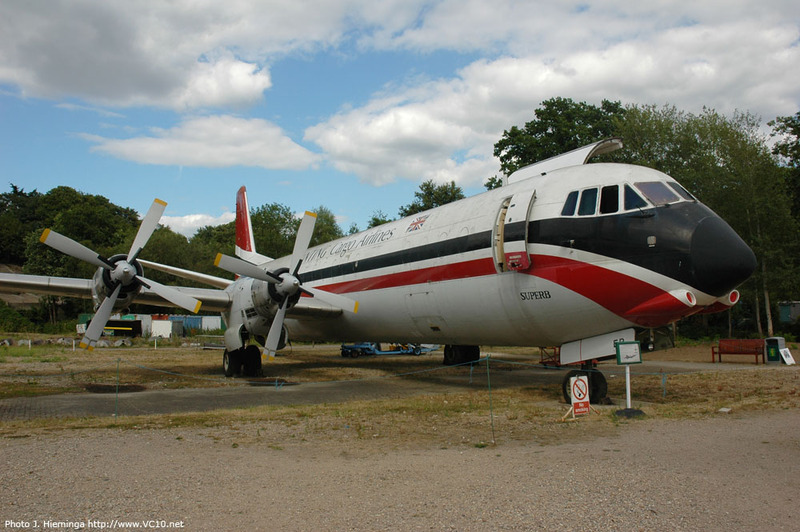 Large sections of the aircraft have been designed and built at Brooklands and fittingly this is where development aircraft G-BBDG is currently displayed after a lengthy restoration.